Brittle Star). Pillar Point. Princeton, San Mateo Co., Calif.
Brittle Starfish are one of those invertebrates that are rarely seen in your marine reef aquarium. 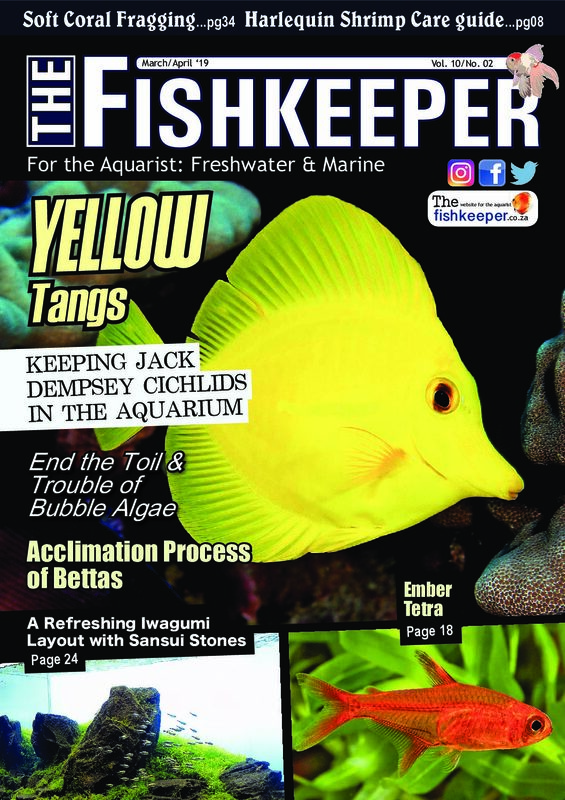 That being said, they play a very important role in your aquarium and are a beneficial invertebrate to have, and when you do see them they are very impressive and fascinating creatures. Brittle Starfish generally will come out at night and scavenge all over the bottom of the tank and on the live rock looking for bits and pieces of things to eat. I find at times, once they have settled in, when you are feeding in your aquarium they will sometimes come out of the live rock to grab some food or they will at least stretch out their tentacles in hopes of grabbing up some uneaten food, which they do very efficiently. Brittle Stars are, for the most part, rather good tank mates with fish, corals, and other inverts. 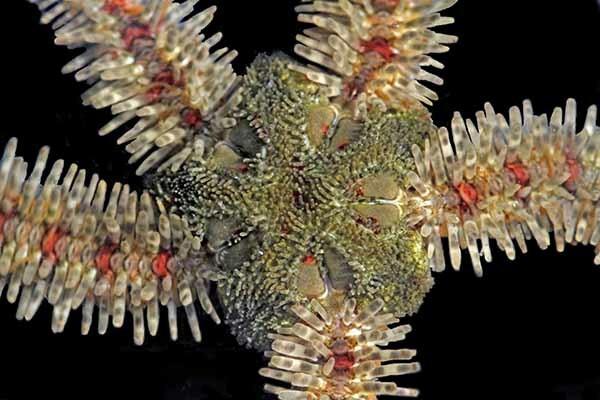 Within the animal phylum Echinodermata (sea urchins, starfish, sea cucumbers, and others), the Brittle Stars belong to the class Ophiuroidea. Ophiuroidea consists of the three orders Ophiurida, Oegophiurida, and Euryalida (or Phrynophiurida) that contain 17 families with about 250 genera. 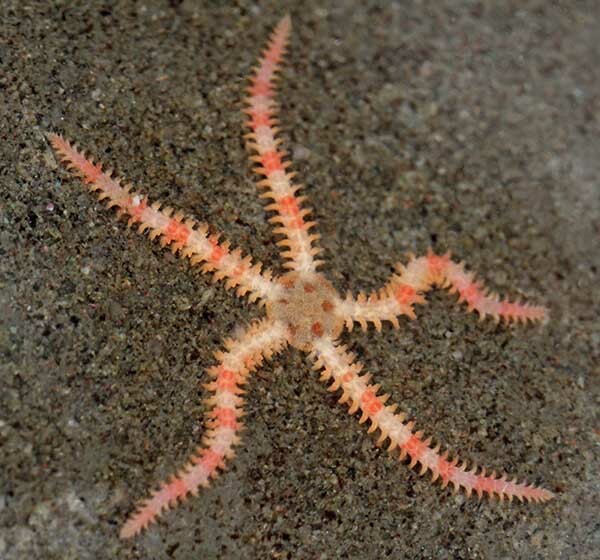 A total of around 2,000 species are known, making this class of animals the most diverse of echinoderms. The vast majority of Brittle Star species that we find in the trade belong to the order Ophiurida. Brittle Stars have an unusual body. They have a round central body and 5 to 7 slender arms. 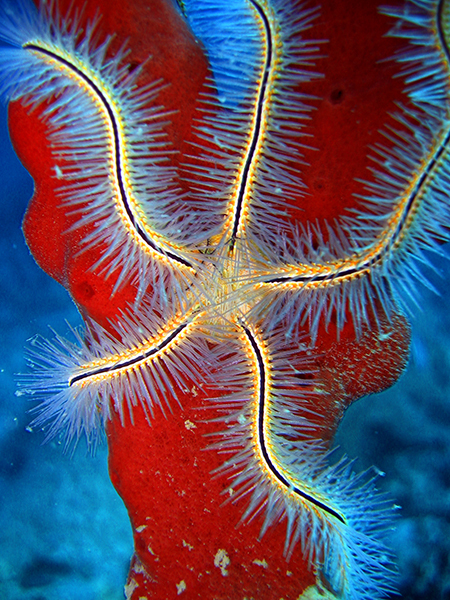 Unlike starfish the arms do not seamlessly join to their central part but rather have a clear attachment. Another difference between Brittle Stars and other starfish is that Brittle Stars can move their arms sideways, which allows for rapid motion. Some are quite cool looking, including the Tiger Striped Brittle Star varieties. Colours vary quite a bit, with some being light brown with darker stripes and some are dark brown with even darker stripes. They are called “brittle stars” because their arms are easily broken off as some sort of defensive mechanism. 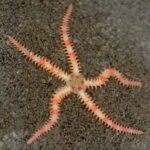 Brittle Starfish are one of those invertebrates that are rarely seen in your marine reef aquarium. 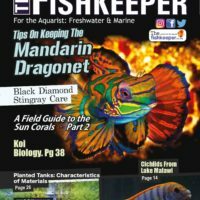 That being said, they play a very important role in your aquarium and are a beneficial invertebrate to have, and when you do see them they are very impressive and fascinating creatures. Their mouths are the only opening of their digestive tract. They consume food through their mouths and into their stomach cavity where the food is digested and the nutrients are absorbed. The left over waste is then disposed of again via the mouth. Many species live in community with corals and other invertebrates. Brittle Starfish are very successful organisms in their natural habitat and are found in virtually all habitats throughout the world’s oceans. 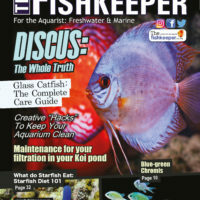 Brittle Starfish have been in the marine aquarium hobby from the very beginning and in many cases they found their way into hobbyists’ aquariums without the owners even knowing they were there. This happens when the owner purchases live rock and/or coral and there is a Brittle Starfish hiding in it. It is always is very exciting to see one, especially when you never knew it was in your aquarium. Most Brittle Starfish are unproblematic in the aquarium but there are a few exceptions. 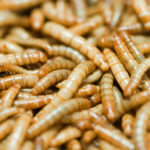 Feeding is very easy, because they are usually carnivorous and also feed on dead animals. Fine suspended food particles attach directly to the tube feet, while larger chunks are grabbed with the tip of the arm and transported to the mouth opening by rolling up the entire arm. Many Brittle Stars can open wide and deform their oral discs in order to swallow large chunks. 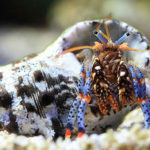 When adding a Brittle Starfish to an aquarium, it is important that, like with other invertebrates, you slowly adapt them to your aquarium’s water. Brittle Stars in general should be acclimated slowly to your well established marine aquarium. They won’t tolerate extreme differences in salinity and pH. 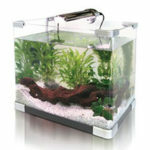 Don’t add them to new tanks, since they can be intolerant of changing or fluctuating water parameters. Do a slow drip acclimation over an hour or longer so that they can adjust to your tank’s water conditions. Once they’ve adjusted you should find them to be relatively hardy, provided that you keep you water parameters at optimal levels. They don’t ship all that well, though, with many perishing during transport. Brittle Starfish can sacrifice an individual limb when they feel threatened; the detached limb will go on moving for hours. This will then grab the attention of the attacker while they can escape to safety. Although the arm will grow back if the starfish is healthy, such a loss should be avoided. The small species are especially fascinating aquarium guests, as they increase biodiversity. 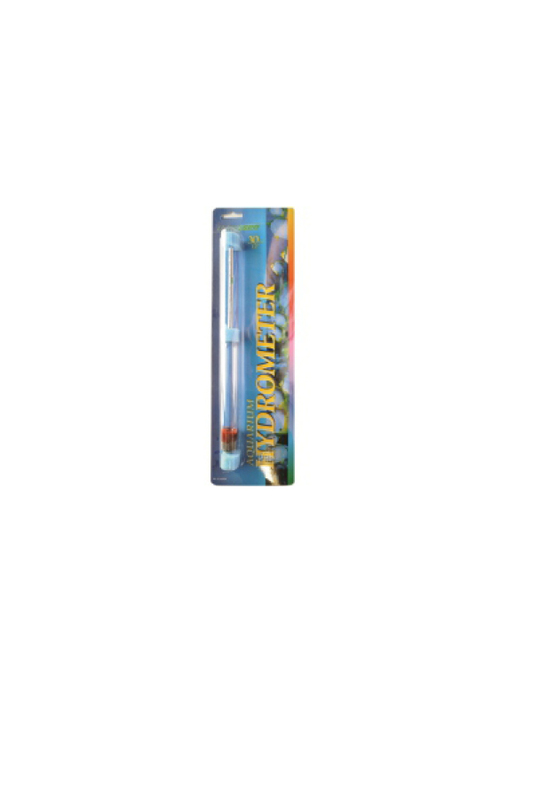 They are commonly found in many reef aquariums. Especially if there are no specialized predators, Brittle Stars multiply quickly by vegetative propagation to form individual-rich populations. 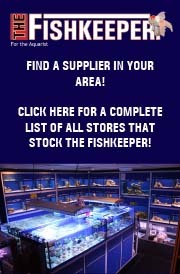 However, they mostly live hidden and are rarely seen, so many aquarists have no idea how many live in their tanks. Brittle Stars generally sexually mature in two to three years, become full grown in three to four years, and live up to 5 years. Euryalina, such as Gorgonocephalus, may well live much longer. In conclusion, I would highly recommended that anyone who has a marine reef aquarium should look into getting a Brittle Starfish or two to add to your marine ecosystem. That is if they haven’t found their way in already! 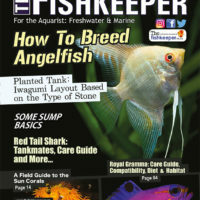 They are attractive and are also beneficial species to add to your clean-up crew, as they will clean up any leftover scraps of food that fall into and onto your live rock. Brittle Star (Ophiothrix rudis). Estero Bluffs State Park. Near Cayucos, San Luis Obispo Co., Calif. San Luis Obispo Co., Calif.